After 60 years of relative stagnation in shipping industry innovation, A.P. Moller-Maersk, a world leader in container shipping and IBM are set to greatly improve trade with their blockchain-based trading platform. Currently, under old systems, nearly 20% of shipping costs for moving a container are due to bureaucratic paperwork. Literally, dozens of businesses and individuals may need to handle a single shipment of goods when traveling from one continent to another along with hundreds of communications. However, if successfully implemented, the system could save the industry billions by dramatically reducing the amount of time and paperwork necessary to conduct trade. How Will Blockchain Help the Shipping Industry? Blockchain, which is a form of decentralized technology that allows for information sharing across a wide network of computers, has several key security measures in place to make data transfer secure. It is most popularly known for its connection to the cryptocurrency Bitcoin, but this is only one of many applications the technology has. 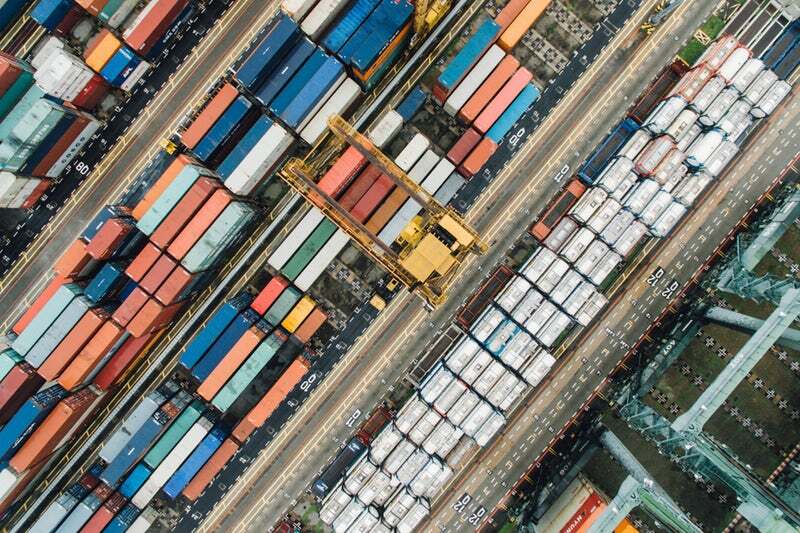 This technology and network will allow the industry to digitize and track millions of shipping containers on a global scale in a streamlined fashion. With streamlining and digitization, universal standards will be easier to set and meet, saving the industry thousands of hours and millions of dollars. Along with time and money savings, it would seem that the technology is partially in response to the cyber attack on Maersk which took place in 2017. The attack, which greatly disrupted the shipping industry, highlighted the inadequacy of old systems as weeks were wasted getting applications back online. With the history of slow change in the shipping industry, the primary barrier to the technology is convincing those in the industry to use the platform. However, several countries, including the United States, Netherlands, and Singapore have been receptive and shown interest. Additionally, end consumers are pushing for the change due to increased savings and speed on trade.